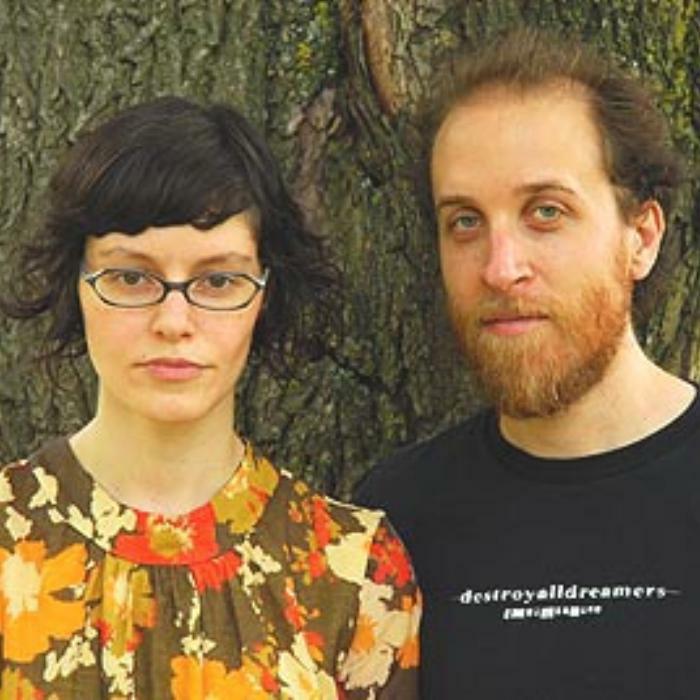 Nadja is a duo of Aidan Baker (guitars/vocals/piano/woodwinds/drums) and Leah Buckareff (bass/vocals). Nadja began in 2003 as a solo project for Baker to explore the heavier/noisier side of his experimental/ambient music performed mainly on the electric guitar. In 2005 Buckareff joined in order to make the project more than just a studio endeavour and to allow Nadja to perform live. The duo combines soundscape, electronics and atmospheric vocals with slow, epic riffs and dirge-like percussion, creating a slowly moving grand wall of music that has been described as drone, ambient-doom, and shoegazer-metal. Aidan noted that they prefer to call their style of music "ambient metal" or "ambient doom", though he's fond of the term "dreamsludge" as well. After several limited edition CD-R releases on various small labels worldwide, Nadja released its first official album Truth Becomes Death on Montreal's Alien8 Recordings in 2005. The duo has since released material on wider distributed labels and went through re-releasing older recordings either remastered or completely re-arranged, such as the newer Touched 2007 version back on Alien8 or the Bodycage album on Profound Lore Records/LP version on Equation. They have performed in Canada, Belgium, the Netherlands, the United Kingdom and the United States, sharing the stage with, among others, artists as Kayo Dot, Knurl, Khanate, Francisco Lopez, Isis and Mare. They successfully toured Europe in Spring 2007 and are currently touring through Europe in Spring/Summer 2010. The band's name comes from Aidan's name spelled backwards in order to match the concept of a musical style different from his own work. The J replacing the I, is according to Aidan a "reference the Nadja character from Breton's book and Elina Löwensohn's character from the vampire movie."